Lehane Environmental can supply Mobile Storage Poly Self Bunded Tanks for the storage to Acids. 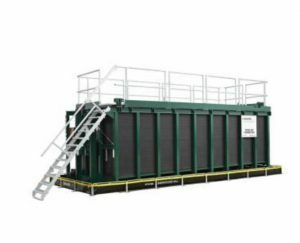 These storage tanks are HDPE double wall tanks mounted inside a metal roll-off frame and are suitable for the temporary storage of acids, caustics, and chemicals. The tanks are not suitable for food applications or portable water storage.